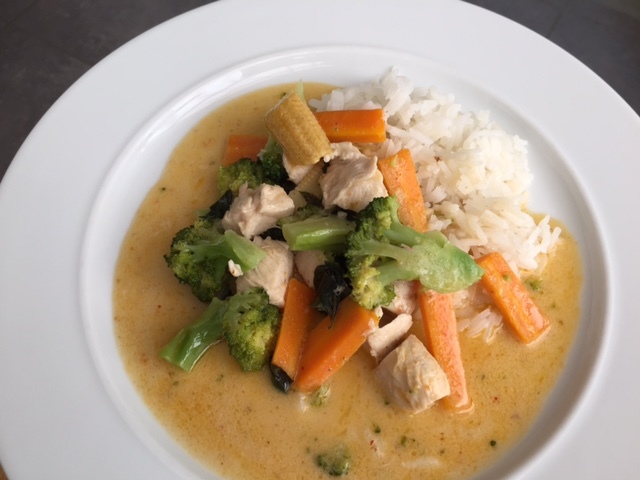 When we spend time with my parents, my mum tends to cook different food for the kids because they are less adventurous when it comes to flavours and they are certainly not keen on spicy food. I always tell her not to do go through the trouble of making something completely different and at the same time I understand that she wants to be popular with the kids for making their favourite foods. 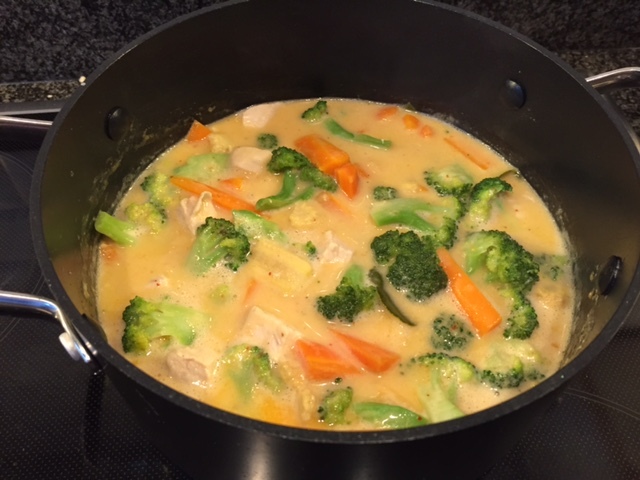 In the picture at the top of this article you see a steaming pot of a yummy Thai red curry with chicken and a large amount of vegetables (carrots, baby sweet corn and broccoli). I was not stingy with the curry paste, so it’s nicely spicy, just like my husband and I like it. So what about the kids? I served them with a piece of chicken, raw carrots, cherry tomatoes and some rice sprinkled with soy sauce. So apart from the cherry tomatoes which only needed washing, they had the same ingredients that we had. Before I cut the chicken breast into pieces for the curry, I sliced one chicken breast in half to create a thinner piece which means I also cut the frying time in half, I seasoned the chicken with pepper and salt. When I cut the carrots for the curry, I kept a few pieces bigger to make it finger food for the kids. E voila without much extra effort, we all had a delicious dinner. I have applied the same concept to a beef and beans stir fry with an Asian touch for us and beans with bacon and separately fried beef without the sauce for the kids. 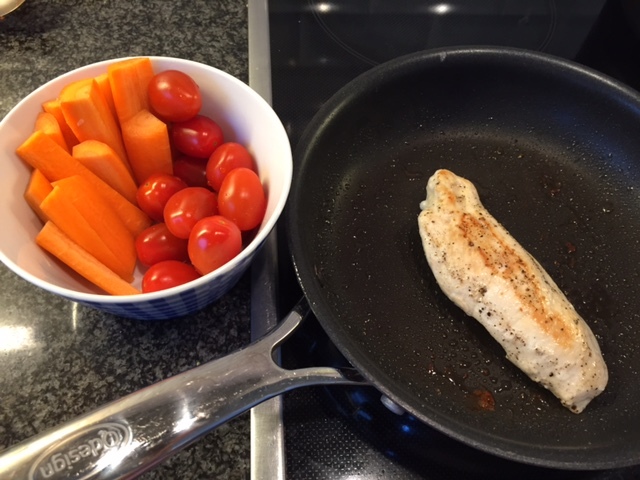 I would love to hear how you handle cooking for the family, what are your biggest challenges and what do you think about the parent-child-combo meal idea? Please share your comments below. Let yourself be inspired by more tips and stories by joining our community. Click here to sign up.